Voor intensieve techniektraining is het nodig dat een speler of keeper veel ballen ontvangt met de juiste snelheid en richting. Waarbij de aangever niet moe wordt of de techniek mist om de juiste ballen in te spelen of voor te geven. De Ball Launcher kan meer dan 200 ballen per uur met de juiste snelheid, richting en hoogte produceren. De Ball launcher is in afmetingen, gewicht, prestatie en betaalbaarheid een unieke machine. Deze machine mag bij geen enkele vereniging of voetbalschool ontbreken. Wij zijn overtuigd van deze fantastische machine. Ten eerste omdat de kracht en snelheid waarmee de bal geschoten moet worden eenvoudig en precies kan worden ingesteld. De machine heeft ook echt de power om ballen tot 45 meter afstand in elke gewenste hoek en plaats af te leveren. Daarnaast kunt u met deze machine ook elk effect perfect nabootsen. The immense benefits a ball launching machine can bring to any squad are clear, but until now these quality types of machines have been un-affordable for most. In developing Ball Launcher we identified “affordability” as a key part of the design process alongside offering performance and quality. By making our high performing machine affordable for almost every club, academy, soccer school, coach or parent globally, we would like to believe that we can help influence the quality of training. Our goal was to build a machine that was not only performant, easy to use and reliable, but one that could be acquired by all through direct purchase or with the additional support of sponsors. 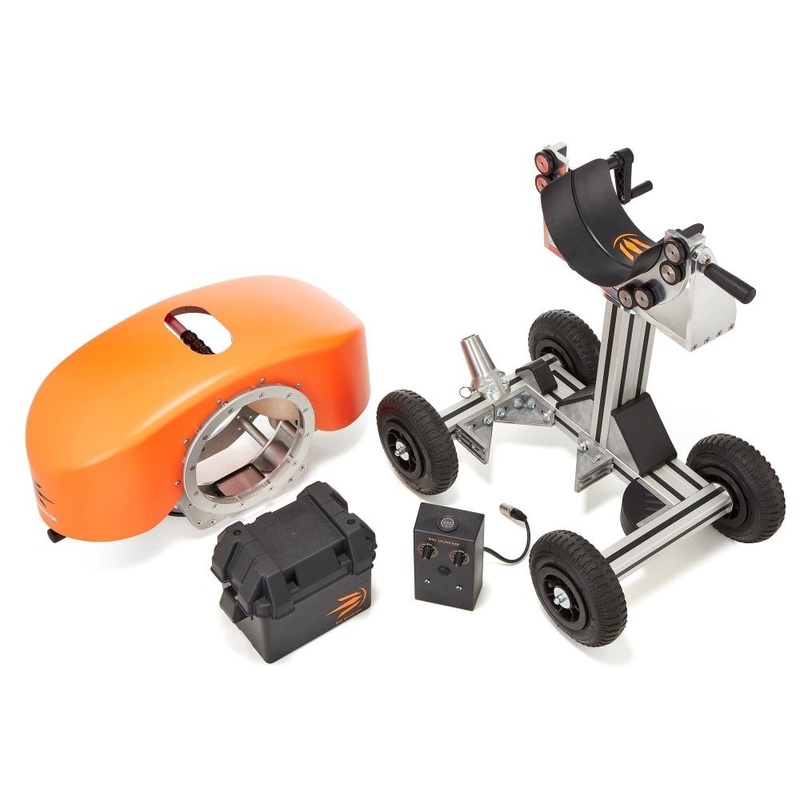 We believe that Ball Launcher is the most quality and performant ball machine available for its price in the world. Speeding up the development of individual players or improving as a team in record time are just the start of the story. Coaches can choose to build sessions around the Ball Launcher allowing them to validate the ability or improvement of players without having to make any allowances for inaccurate ball delivery. Ball Launcher can provide an increase of over 200% in training density creating reduced downtime and better performance quicker than any other comparable training method. Repetition and consistency are the keys to improving any athlete’s performance. Good player technique for example can turn a draw into a winning game or save from defeat, but how many players have the skill or confidence to apply this technique to a match play scenario? 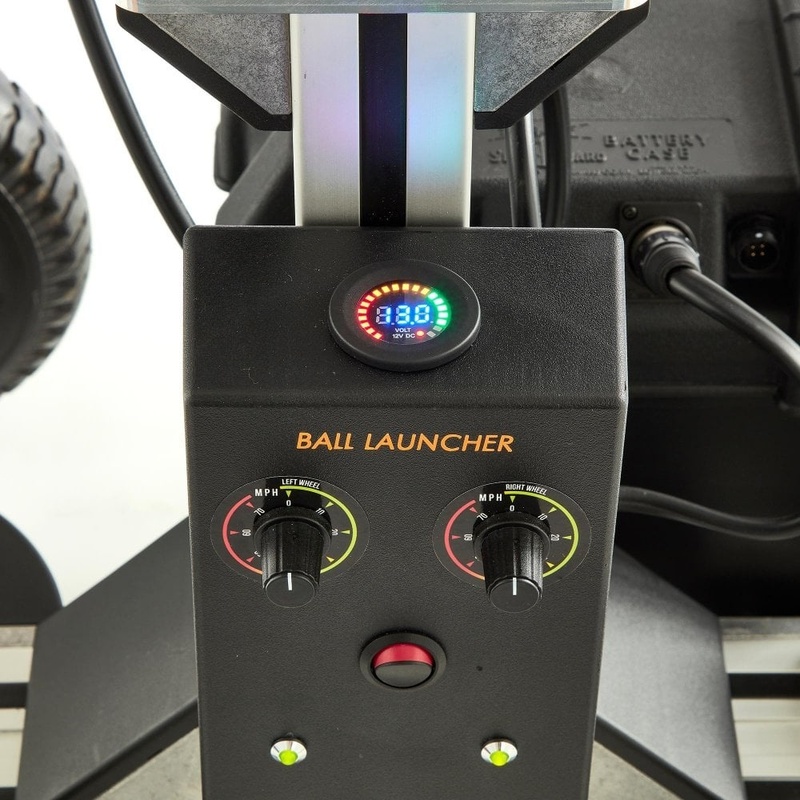 Ball Launcher makes it easy to build skills and players’ confidence because they can hone their techniques to perfection. This is possible in not only an efficient way, but whilst being interactive and fun too. We don't see mishits or mistakes in training as failure, we seem them as opportunities to grow, develop and be better ready for match day. 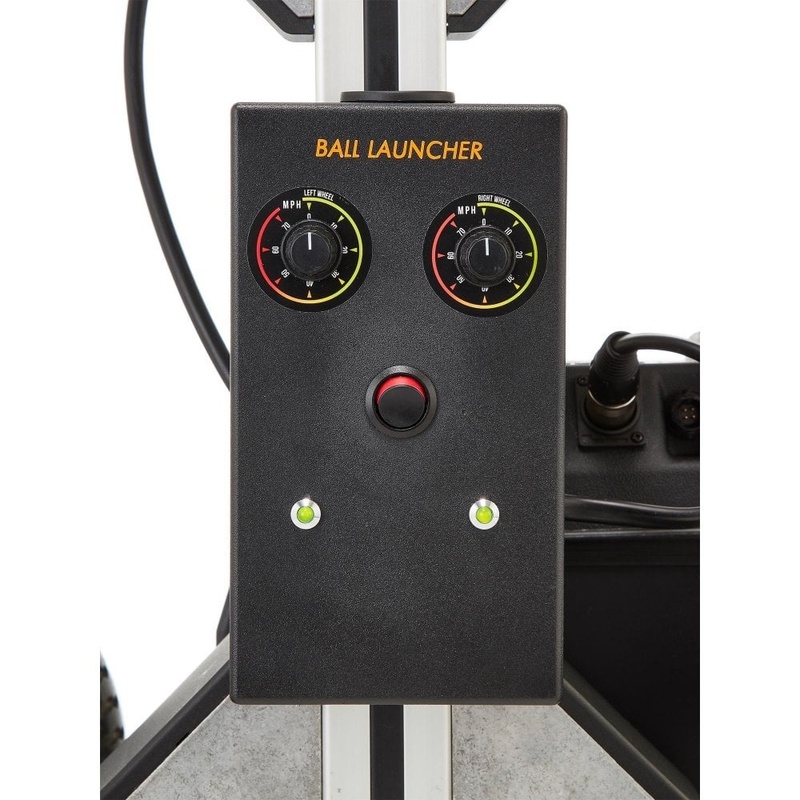 Ball Launcher does the hard work for coaches allowing them to maintain focus on improving skills and team strategies. With consistent ball delivery guaranteed, coaches are free to get the very best out of their squads. Ball Launcher can also help prevent against creating or aggravating coaching staff injury associated with regular ball delivery. Through direct experience we are acutely aware of the issues that many coaches suffer in getting to and from training venues with all the required equipment. Once bibs, balls, cones and kits are included, space is often at a premium. Our compact and lightweight Ball Launcher is less than 80cm long and 50cm wide and can fit comfortably into the boot of a small family car. It can also be broken down into four separate parts in seconds if needed for extra space and ease of transportation. 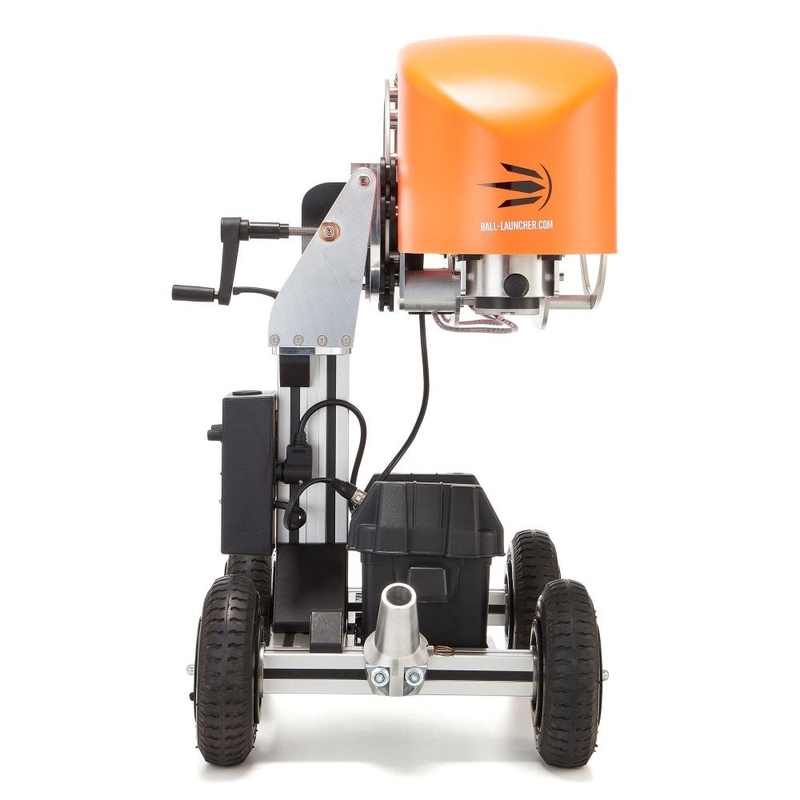 We have designed Ball Launcher to be a ‘plug and play’ machine, it takes less than one minute to remove the machine from a vehicle and plug in and deliver a ball. Not everyone has access to a secure lock up or storage facility to keep equipment pitch side and it is with this in mind that we have created our machine. Versatility was an important factor in the design process of the Ball Launcher. Because we know that coaches are sometimes called upon to teach at different levels of ability, it can deliver ball sizes 3, 4 and 5 from speeds between 5-80mph. Whether used to provide goalkeeper training, hone first touch skills , finishing or validate a set piece strategy for an entire team, Ball Launcher can easily flex to the training needs of each and every training session. With all types of common spin available (backspin, topspin, sidespin and knuckleball), coupled with its ability to deliver turf-cutters and in-swinging and out-swinging crosses through to high, cross-field passes or 80mph power shots, Ball Launcher can replicate any game scenario a coach could imagine. Boys, girls, men and women of all ages abilities and playing positions can benefit from our machine's ability to provide all ball deliveries found from Grassroots up to Professional level. Ball Launcher is an innovative piece of training equipment that will supercharge the way your players train and perform. 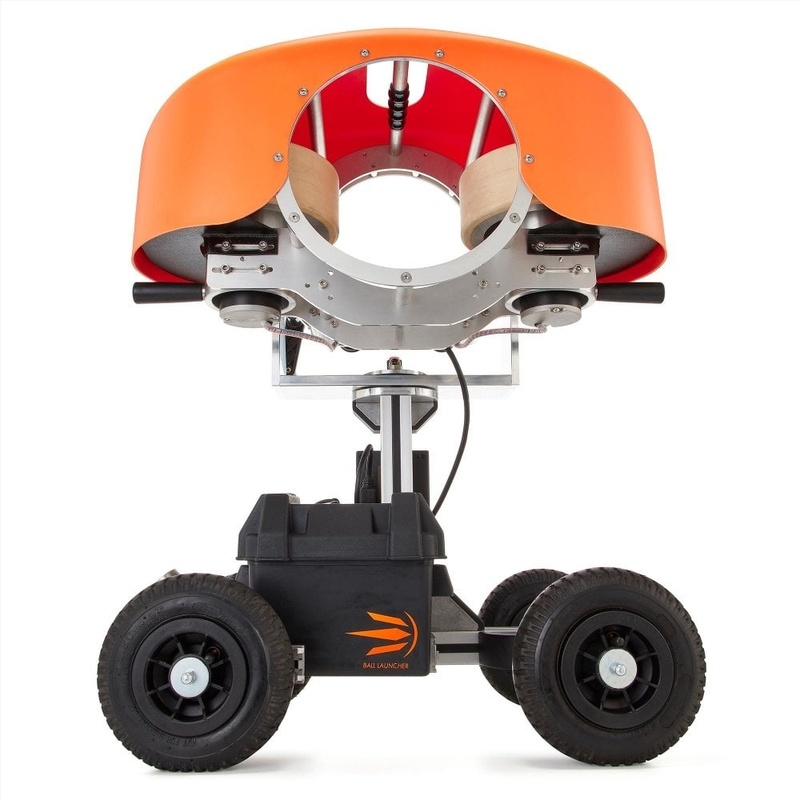 With a full range of elevation, rotation and speed our football launcher replicates every type of delivery any player or coach could ask for. No excuses, no fatigue, just perfect delivery that allows you to unlock player potential. For and in depth look at what Ball Launcher can do and how it will elevate your training, our videos below are a must watch. Designed to resist anything that British weather can throw at it. No paint and no rust! Up to 4 hours of charge using varying speed outputs. What do I get if I order a Ball Launcher machine? 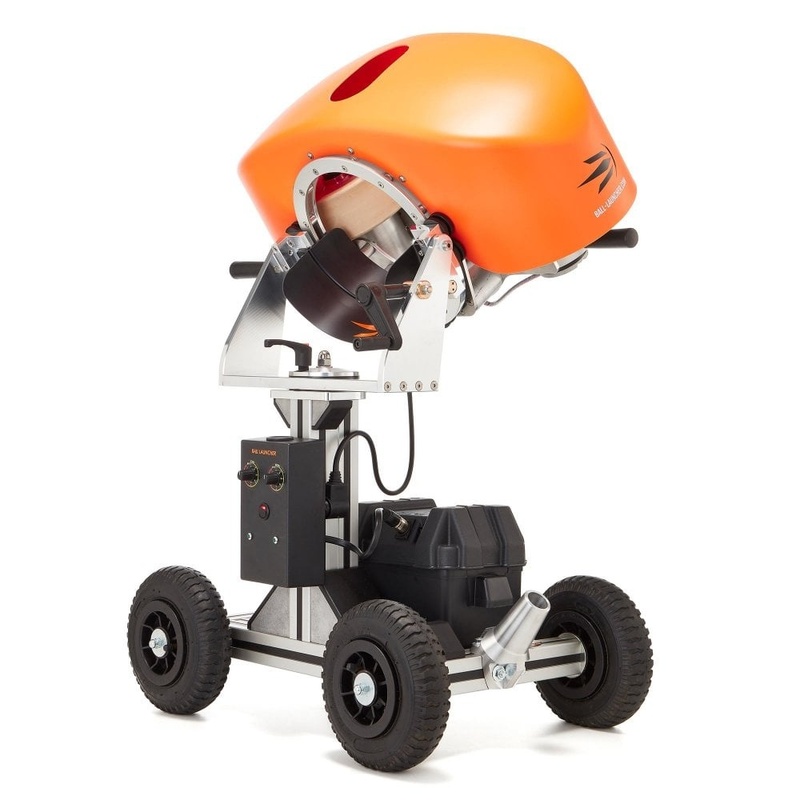 Does a battery and charger pack come with my machine? Yes, this will be supplied as standard. 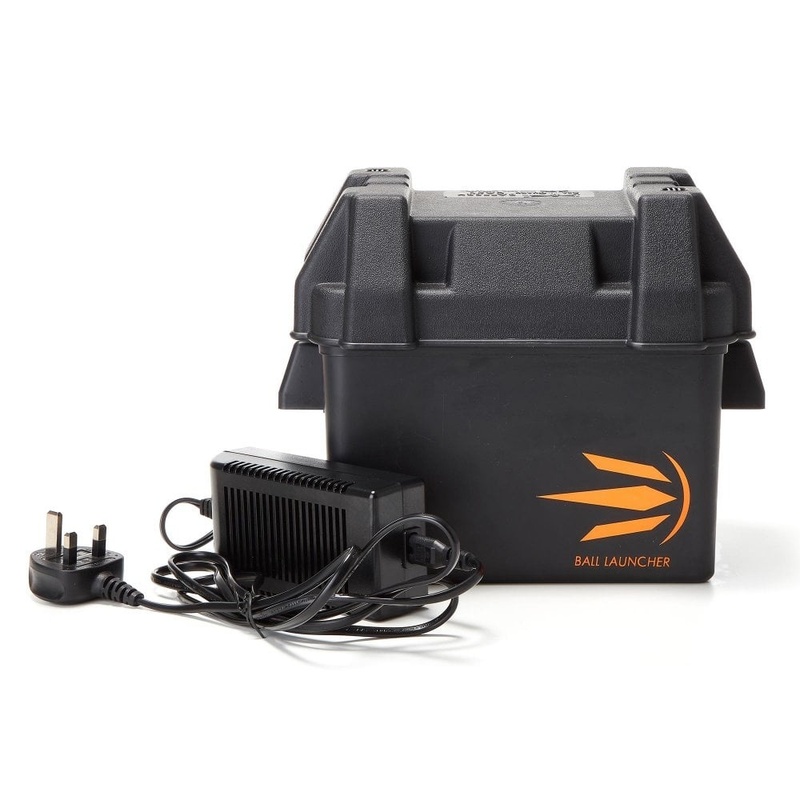 Additional batteries can be purchased on our store, to enable a quick swap and extended sessions. Are there any Add Ons available? Add Ons include additional battery units and micro fibre towels, with further in development. How do I get the most out of my machine? Alongside the informative instruction manual we highly recommend watching our range of video tutorials here, support is also available from the Ball Launcher team at info@ball-launcher.com. Can I use Ball Launcher in all weather conditions? 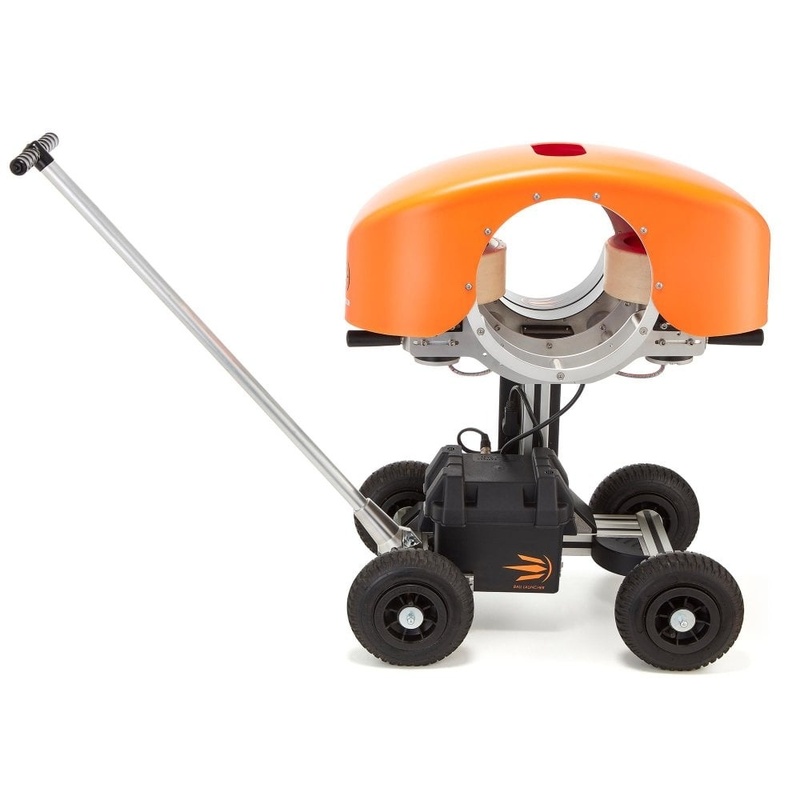 Ball Launcher has been effectively designed to resist anything that extreme weather can throw at it in terms of 'no rust' and all electronic components sealed safely. In wet conditions however, it is advisable to use a towel to quickly dry the balls before entering into the machine to ensure maximum performance. We also cannot be held accountable for deliveries affected by natural windy conditions. How do I know my machine is safe? 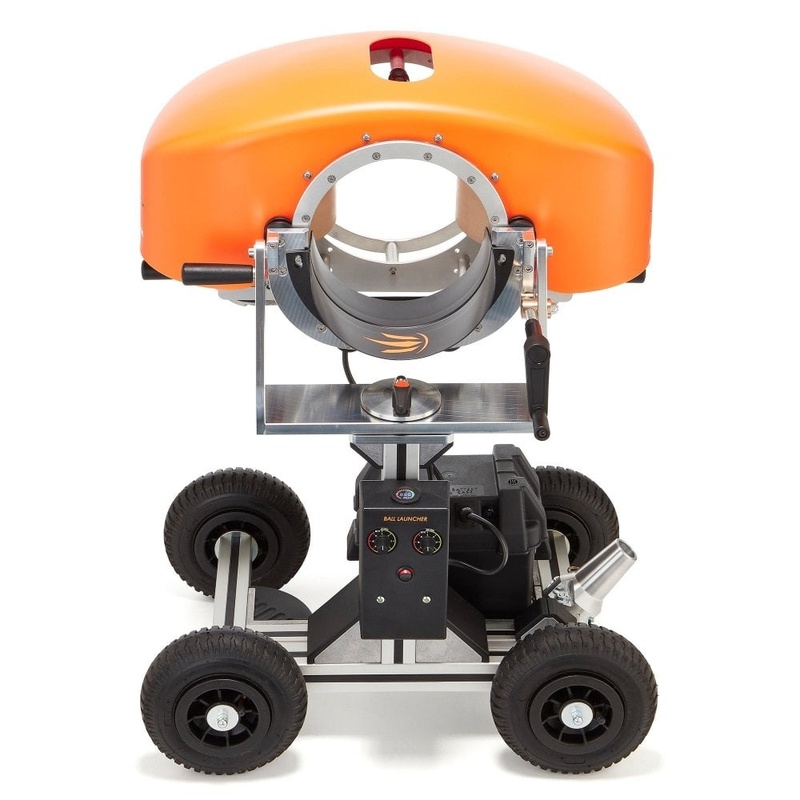 Our Ball Launcher has been CE certified with all necessary safety considerations implemented. We advise that children do not operate the machine and adult supervision is required at all times whilst the Ball Launcher is in use. We have applied safety stickers and warning notes on the device to advise of the main risks. We provide a comprehensive 12 month warranty for replacement of any faulty parts. Is VAT applicable on purchases? Yes, we are VAT registered company and purchases will incur VAT as standard.